The Season of Giving is already well underway with food drives in full swing, mailers asking for donations to different charities, and bell ringers with buckets outside of almost every grocery store. If you are still looking for the most effective way to help those in need in your community, then please consider donating your vehicle to Catholic Charities of San Jose. Donating your car to charity will provide a tax credit that may be much needed when spring rolls around. Whether you choose to give money, time, or gifts, there are many benefits that you can reap. Let’s spend a little time today looking at a few of the benefits that you can receive when you give to charity. Have you ever noticed that when you give to someone else, you usually feel really happy? You are not imagining things. In fact, a study that was done at Harvard University in 2008 found that giving money to someone else lifted participants’ happiness more than spending it on themselves. Researchers at the National Institute of Health also discovered that giving to others activates certain regions in the brain that are associated with pleasure and give us the “warm glowing” feeling from endorphins that are released into our bodies. If the obligations that you have during the holiday season are causing you to feel overwhelmed and stressed, then you should consider making time to give to different charities in your community this year. Giving actually helps to decrease stress, which, of course, is related to a number of assorted health issues. People who provide support to others exhibit lower blood pressure than those who don’t. Giving also helps to lower your risk of depression. Investing yourself into someone else’s life, even if it is a small act of kindness, can help people struggling with depression to recover more quickly. Giving to others is just like tossing a stone into a lake — the ripples spread farther than you can see. 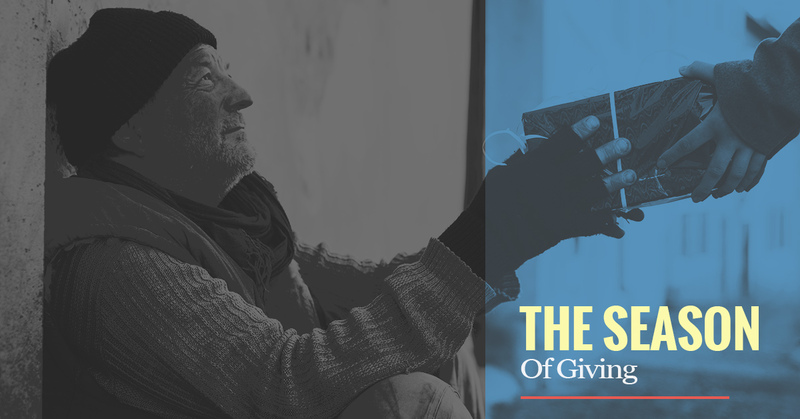 In a study conducted at the University of California, San Diego, it was discovered that acts of generosity spread by three degrees, which means that each person in a network could potentially influence dozens, or even hundreds, of other people. Generosity, therefore, not only impacts the immediate recipient of the gift, but goes on to impact many others. In fact, due to the release of oxytocin when we give, it causes us to feel a stronger connection with those around us and can inspire others to give to charity as well. We hope that you will consider donating your vehicle to Catholic Charities of San Jose. Not only will you benefit from the tax credit you receive, but you will also boost your own happiness, health, and giving spirit. Your choice to give could be the inspiration for those around you to give as well. Call today and find out just how easy it is to donate your vehicle to charity.